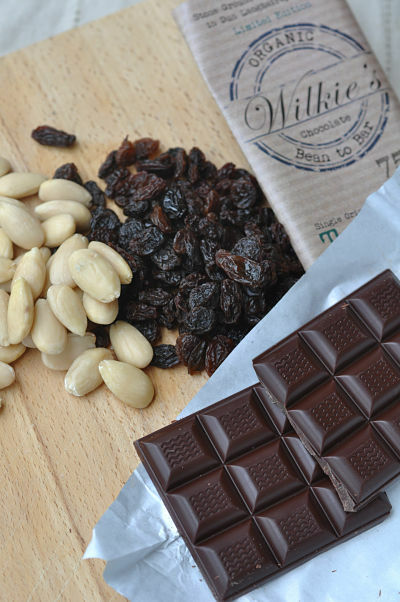 What to do with a delicious bar of chocolate? Firstly of course you will hide it. 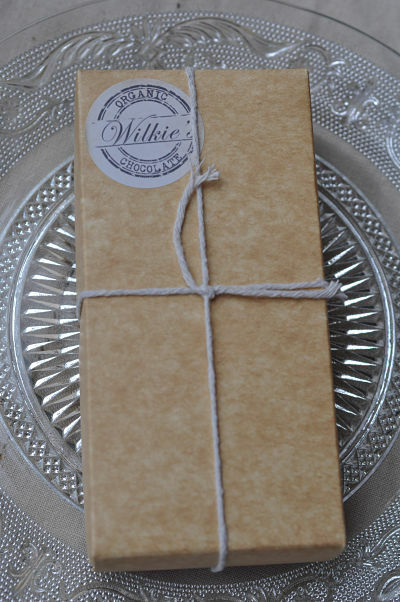 Actually, before that, if it’s a bar of Wilkie’s Chocolate you will take some time to marvel at the packaging and then hide it. It’s everything that you yourself want to be; cool yet understated and impeccably styled while remaining unpretentious and that is just on the outside. After the hibernation period is over and the time arrives to finally indulge you will unwrap it carefully, inhale the mouth-watering cocoa aromas and slowly dive in. 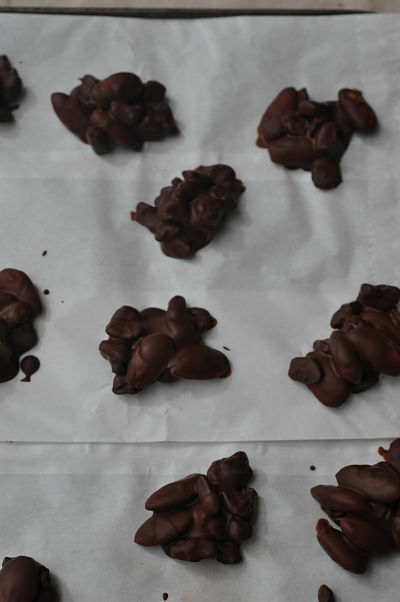 However, you may wish to stretch your enjoyment a little further by making some of these Chocolate Fruit & Nut Clusters or indeed you may even share them as the perfect accompaniment to an after dinner coffee. 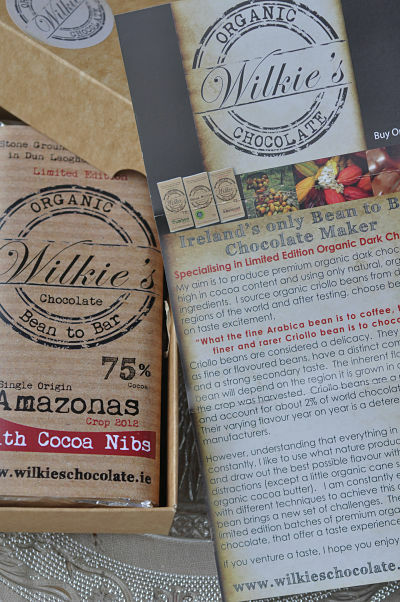 Marie Claire Digby of the Irish Times gave Shana Wilkie the producer of Wikie’s Chocolate this wonderful write-up recently. As Shana explains in the article “I am one of less than 10 chocolate makers worldwide who use only cocoa beans, cocoa butter and sugar to make their chocolate,” so obviously this will be no ordinary chocolate experience. I’ve tried the chocolate several times now and what I love most is the sheer indulgence of it. What you’re getting here is a chocolate experience to remember and a world-class luxury product that has you tasting the best in the world without having to pay luxury prices. I ordered a selection of three bars which arrived promptly and beautifully packaged. 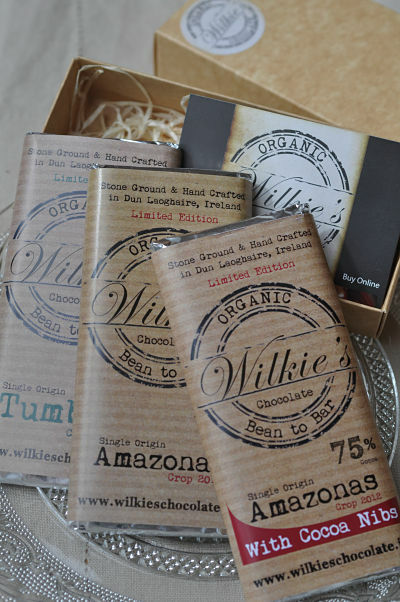 If there’s a chocolate lover in your life these bars would make an excellent gift and you can visit http://www.wilkieschocolate.ie/ to discover more or indeed to try for yourself. Cool in the fridge for at least 30 minutes until hardened.